Is Marriage or couples counseling expensive? How much does Marriage or couples counseling cost? Lots of people know that they need couples counseling. They have heard about and thought about the things relationship counseling can do for them. They are considering it for all sorts of reasons. What they want to know when they ask about the price tag is often, can they afford it and then will it be worth the price. It is unfortunate that this question comes in as often as it does. Couples counseling can help. Sometimes it helps a lot. Couples therapy can even help if you have both decided it is over and you want out. This is extra true if there are children involved. Sometimes couples counseling can help you repair a damaged relationship. Other times it can help you both work through the decision to separate. Remember that if there are children, family, and friends or even pets to consider, the more you can agree on, the less the trauma and cost of taking this to the lawyers. More than one couple has come in thinking it was all over and they needed to work out the details of the divorce and by the time the relationship counseling was completed they had rediscovered the things they liked about the other person and the relationship was off life support and on the mend. Couples, married or not, should get the help they need to keep their relationship healthy and growing and the price of seeing therapist shouldn’t be the deciding factor. If there are children involved they need the help in working out the ways to make this less traumatic for the kids. Let’s look at what is involved and then what it may cost you in time and money. A good couples therapist can help interrupt the conflict and give you a chance to try on some new behaviors. Sometimes just finding out that what you are going through is typical for a relationship at the stage you are at can be helpful. 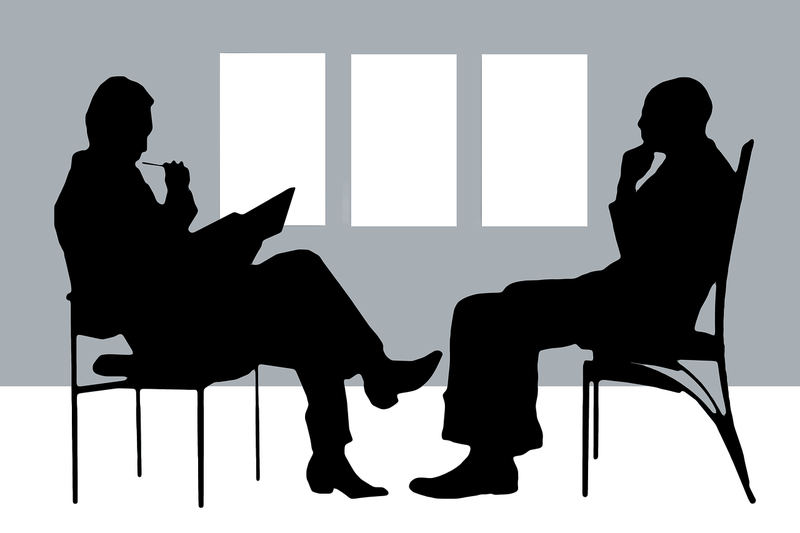 The counselor can give you a different way of looking at your issues and can help you develop and practice new skills. The things that brought two people together are often the things that are pushing them apart. The skills you need to start a relationship are not the skills you need to maintain one. Once your relationship begins to change the common tendency is to blame the partner. You think they need to change or that you need to get out of this relationship and find someone else. It is rarely that simple. Pick a partner and you get a set of problems. Change partners and you change problems, often for the worse rather than the better. Most couples end up going to very few couple’s sessions. The average couple, according to one study, attends couples counseling about 6 times. A few couples may opt for more sessions than that, say twelve or more. Beyond that, you are probably not working on conflicts. You will have transitioned to more of a relationship coaching situation where you are working on growing the strength of your relationship rather than trying to save it. Some of the how long or how many sessions partially depends on the nature and seriousness of the issues. If there has been an affair the non-affair partner may need time to work on their own pain and issues separate from the couple’s issues. We often discover that there are personal issues that one or both of the parties are working through. Hidden underneath the “couples issues” and “lack of communication” there are often long-standing serious substance use or childhood issues. Just the dollars and cents, please. Price for couples counseling varies from area to area. In major cities, the prices can be higher but then so is the office rents and everything else. In my area, the “usual and customary” rate is on the order of $100.00 to $150.00 an hour. A few very new counselors may be lower and some old timer’s with very busy practices charge more. Relationship issues are not considered a mental illness, even if your spouse is driving you crazy. Most medical insurance or public funding will not cover relationship issues or the coverage will be limited. There are cost-cutting things you can do. Some Employee Assistance Plans cover relationship issues. There are low-cost clinics and some counselors offer sliding fee scales for low-income people. Relationship counseling may turn out to be a bargain. How much will the divorce lawyer want for a retainer? Do the math. Six sessions at the average price that works out to six hundred to nine hundred dollars. Less than a lawyer. Less than deposits and rent for a second place. Way less than the cost of a custody dispute. How much time and effort have you put into this relationship? There must have been some reason you two got together and stayed together besides the booze that first night. If there is any chance of fixing this don’t you owe it to yourself to invest a few bucks in trying to make this relationship work? One thing I have noticed also. Those people who divorce, they often end up quickly getting into a second or third relationship. A bit later those repeat relationship’s end up in therapy to work on the reasons their past relationships did not work. My hope is that this post helps put the costs, financial and emotional, of relationship counseling into the larger perspective of the cost of abandoning a potentially good relationship, the effects on the children, family, and friends of not trying to learn how to have a good relationship. How many of these relationship destroying skills do you practice? Couples slip into patterns of behavior over time. Some of these repetitive behaviors make their relationship stronger, other relationship habits destroy your togetherness. What one partner does the other tends to copy. Over time using these relationship destroying skills becomes a habit. Do you and your partner practice relationship destruction on a regular basis? Attacking your partner devastates the relationship. You want one thing and your partner wants another. It is easy to slip from disagreement to seeing your partner as the obstacle to getting what you want. Many couples start out with a conflict about a simple thing, household chores for example, but this conflict quickly escalates to an all-out attack on the partner. Moving from complaining that your partner does not clean up after themselves in the kitchen to an all-out global condemnation of them as a filthy, dirty slob is sure to damage your relationship. Focus on the blame and make each other wrong. Life can be hard. Bad things happen even to good people. When those inevitable difficulties come do you focus on making things better, what needs to be done or do you slip into the blame game telling your partner it is all their fault. Even if your partner has made a serious mistake, staying stuck on the blaming part keeps you two from working together to figure out how you will get past this. Control your partner for a one person relationship. Many couples’ disagreements are not about the facts but about who gets to decide, who will be in control. Happy couples work together to make joint decisions. Generally, they delegate some things to each person. If one of you is better at organization and scheduling let them set the schedule. If one person handles money better, then they may be the one to manage the finances. Avoid arguments about who is in control of what and try to negotiate this. When someone is a “control freak” this often comes from a place of anxiety and fear. Help them to see that they can relax and let you do things and their world will still be fine. Stop looking at control conflicts as who wins and who loses. Look for solutions where you both win and no one has to be the loser. Insisting on total control in the relationship is a formula for a dysfunctional, unhappy relationship. If one person in the relationship has “control issues” consider getting professional help to work through this. If you can’t win the argument enjoy the martyrdom. Placating and the victim stance. Placating, giving in and taking on the victim role may work for a while. In the long run being the constant victim is a damaging part to play. Couples that adapt the winner and the loser way of communicating are less happy in their interactions. Playing the victim may take some of the stings out of not getting your way, but it undermines the relationship over the long haul. Build walls to keep your partner out. Relationships, primary sexual ones, and even friendships can open you up to emotions. Wall building, cutting parts of who you are off from others can feel protective at the time. Over time the person who puts up the walls becomes progressively more isolated. Put up enough walls and you end up living a lonely isolated life even in the midst of a relationship. Avoiding the problems any way you can, destroys relationships. There are innumerable ways to avoid problems. Some people turn to drugs and alcohol to avoid painful feelings, others bounce from relationship to relationship. Affairs are a common way of avoiding dealing with the core issues a couple is experiencing. When you use these negative coping strategies to avoid dealing with the problems you dig the hole deeper. Learning problem-solving skills requires practice. If you don’t deal with an issue now you will need to deal with it later after it has grown to humongous proportions. Resentments will keep you warm at night. Resentments are a sorry companion. The feeling that it is someone else’s fault, refusing to let go of past hurts, will make you feel justified in staying stuck. Resentments can prevent any healing from taking place. Holding onto resentments, large and small can isolate you and eventually Mr. or Miss Resentment becomes your primary friendship. It takes courage to let go of resentments but hanging on to them is a sure relationship destroyer. Ready to let go of the resentment destroyers? If you see that these relationship destroyers have taken up residence in your relationship, now is the time to start working on them. If possible talk with your partner about these issues and see if you can work through them. Pick a time when you are both calm and receptive. 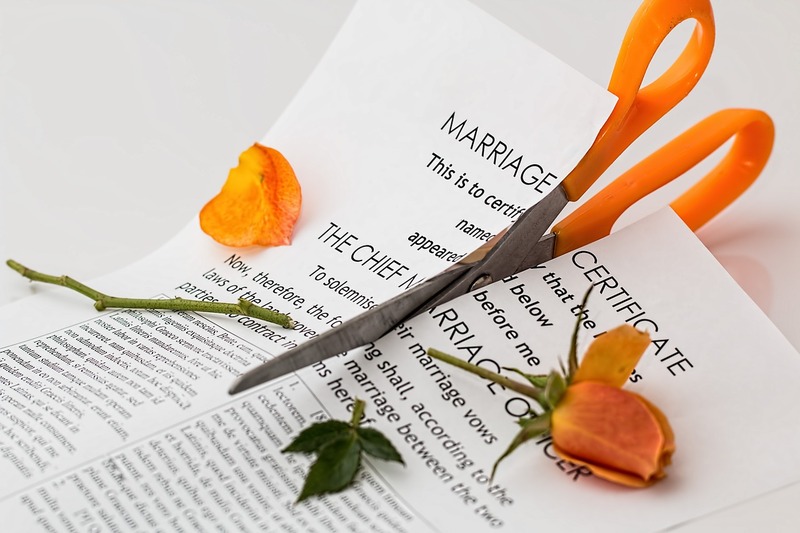 If your relationship has been so badly damaged that fixing it is no longer a “do it yourself project” look for professional help, a Marriage or Couples Therapist before the whole relationship gets condemned and torn down. You have a lot to do – why do they say you need therapy? Clients tell me that “I am not crazy. I don’t need to be here.” Mostly I tell them I agree they are not crazy. But I do think some counseling or therapy could help them. Counseling may help them develop better life skills, find a better job, have better relationships, be a better parent or it may simply get that agency off their back. Government agencies, DCFS (Department of Children and Family Services), CPS (Child Protective Services, Parole, Probation and welfare agencies of all sorts refer people to see therapists every day. People often come because someone, somewhere, who has some control over their life says they need to see a therapist or counselor. They may not understand why, but I do think seeing a counselor or therapist could help them. Here are some reasons you might get a referral to see a therapist and how to make use of that referral to improve your life. Depressed parents create problems for their children. Depression, anxiety, stress and a bunch of other problems do not just affect the parent. If you have struggles they are affecting your children. Being a parent is a lot more than the simple mechanical part of reproduction. Most parents try to be the best parents they can but if you’re struggling each day just to get through the day you have nothing left to give your child. The time to get help for your children is “the sooner the better.” Some things they may just outgrow but if you go for help no harm done. If your child does need help early intervention can change the trajectory of their life. The most powerful intervention for children many times is helping their parents work out their problems. Marriage counseling for the parents can be helpful to a child with ADHD. Who can concentrate in school when your parents were having a loud argument last night? Parents who are struggling have difficulty with relationships. It takes a lot more skill to have a happy relationship than most people think. Navigating life takes skill unless you have fantastic luck. Even the lucky need some skills to make use of those lucky breaks. What is happening in your life affects your relationship. What happens in your relationships affects your life. If you and your partner are having conflicts at home that results in you taking that relationship stress to work. Being in a bad mood after an argument with your partner may cost you your job. The reverse is also possible, Have a tough day at work and you are at risk to have arguments with your partner. Learning relationship skills that help smooth the way at work and at home can make your life more successful. A counselor can help with all these skill sets. Finding a job is good for your mental health. Finding a job is tough sometimes, the worse the economy the tougher that search becomes. Plenty of people have come to counseling discouraged. They may have been trying really hard but their job search is not working. They are applying at places that are not hiring, they lack the skills for the job they want and they had not thought about doing the job that is hiring. Career counseling can help you figure out what job you want to do, what you might be good at and how to get from where you are to where you want to be. Getting a job does wonders for many people’s mental health. Finding a career that you love and that pays well can make a permanent improvement in your mental health. When you are down it is harder to find a job. If your parents were not good at parenting you will have difficulties. If your parents were not the best or if you were busy growing up and missed the lessons on being an adult and how to parent you should have received, then counseling can help. Clients with no children and no plans to become parents can still benefit from taking a parenting education class. You may need to learn about the developmental tasks you should have learned at each age and if you did not get them along the way you need to learn them now. Besides, you may encounter children in life other than your own and it is helpful to know about them. Staying mentally healthy is a skill people can learn not something you were born with. Regulating your emotions is a skill and skills can be learned. Some people picked this up on their own. Some had great teachers or parents in their life. Most of us had to learn about anger and sadness and how to cope with negative emotions the hard way. There are things you can do every day to improve your mental health and there are things you may be doing that can make that emotional life of yours worse. Most people know about skills to stay physically healthy whether they use those skills or not. Learning skills to be mentally healthy, that is something you might need help with. You could get that help in small doses from the internet or reading self-help books, but to really get focused help working on your problems you need in person individualized help. If your emotional issues have gotten severe enough that you have developed a disorder, a mental illness, depression, anxiety, a substance use disorder or anger problems, then for sure you need professional help to get out of that mentally unhealthy place. You could wait for that physical illness to just go away on its own but most people are wise enough to go get medical help when they have an illness in their body. A mental or emotional illness responds to treatment in the same way. Many people do not have good support systems. Some people have great support systems, most do not. Family and partners can get worn out listening to your problems and sometimes what you need most are to talk those problems out. The family gets emotionally involved, they want you to do certain things or not do them. They may take sides in disagreements. A counselor can be supportive while helping you find the answers that are best for you. Stressed out people tend to use drugs and alcohol to cope and the family pays the price. A huge number of referrals by agencies are for people who are using or abusing drugs or alcohol. The agency may not even know that you are using, but excessive reliance on substances can result in impaired ability to fulfill the other roles in your life. Many people with emotional problems turn to substances to cope. A little beer or wine to relax or some stimulants to keep going. 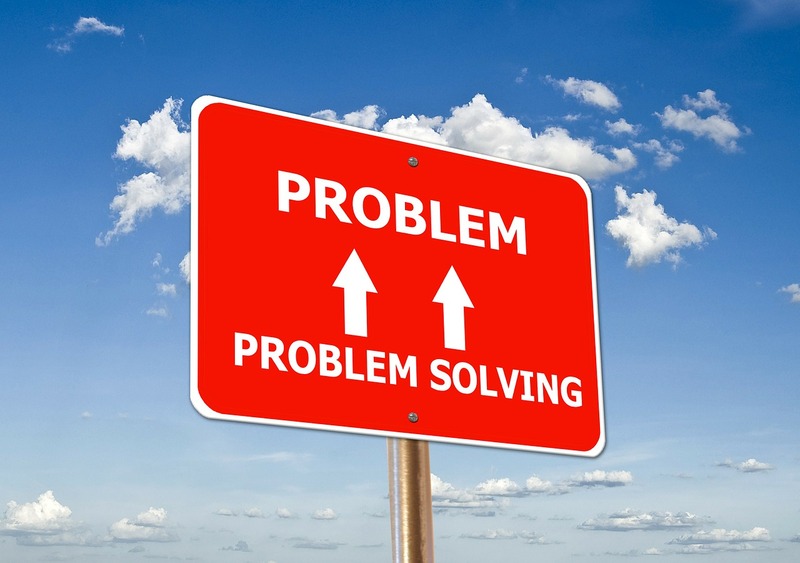 Over time that reliance on a substance can begin to cause problems rather than solve them. A counselor can help you judge whether your use is impacting other areas of your life and help you decide what you want to do about that. I have written in other places about the times that the counselor has to report that kind of use and the times they can maintain that secret. That is a long discussion and you may need to read those other posts or the full version in a book that I am working on that should be out soon. Rest assured that most therapist’s goal is to help you cope, not to get you to say something that they will use against you. If you have been referred to counseling or therapy consider what you want to accomplish in your life and how that counselor might be able to help you make your life better. Can counseling help family issues? Every family has some family problems soon or later. Some of these family problems are more serious than others. Most families try to work out their family issues without help from professionals. If you have tried the usual ways of dealing with or avoiding the problems in your family and those problems continue to cause you problems, now might be a good time to think about some family therapy. Families may have difficulties that are unique, at least in the specifics, but there are some common issues that bring families to counseling. Here is a list of some of the more common family problems that might benefit from seeing a counselor. You have old personal issues that need to be dealt with. In the rosy glow of a new relationship, you may think that now your life will be better, your problems are solved. What most couples find is that it takes two mentally and emotionally healthy people to make for a healthy relationship. If one or both of the members of this couple have unresolved life problems, they are on their way to creating an unhealthy relationship. People with serious mental illnesses can get together and develop a great relationship, but one requisite for that is that each of those two people need to work on themselves and their problem. If one of you has “anger issues” or a substance use problem, that old issue is sure to move from being one party’s problems to being a family problem. Trouble untying the knots to their family of origin and creating a new family. Creating a new family unit requires navigating the sea of changing relationships from being a child in one family to being the adult in another family. Some parents find it hard to let loose of their married children. Some people, new in a relationship, keep pulling their past family into the mix. Calling your parents or your siblings, even your friends, to discuss every piece of your couple’s relationship is likely to create a cluttered and uncomfortable relationship. Cultures and families are or different. Some stay close forever and some quickly separate and become independent adults. If you and your partner are not in agreement on the role of parents and relatives in your new family this can create tremendous friction. When disagreements and family problems arise, running to your family for advice and consolation can create the situation of alliances. Once you complain to your family about your new spouse you have poisoned the relationship. Do not expect to tell others your partners faults and then for them forgive them when you do. 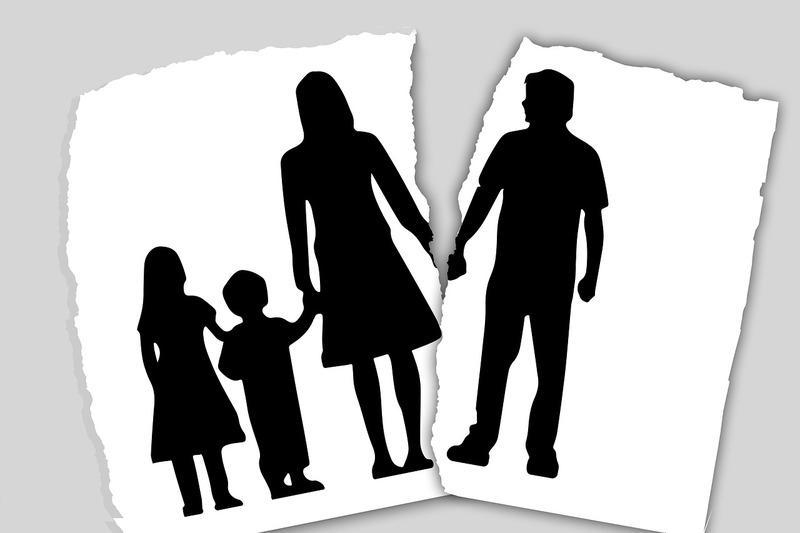 Arguments over whose family to involve in holiday celebrations and which family’s routines and rituals to adopt are common family relationship problems. You are not on the same page about where your family is going. In new relationships, there are lots of expectations. There is generally a raft of things you forget to question or discuss. If religion is important to one member of the new couple, how does the other person feel? This is rarely something that will just work itself out as time goes on. Add children and the conflict grows. If one person is a drinker or a drug user and the other person is in recovery this becomes a huge issue. Are you two in agreement about the role partying and drinking will play in your couple’s life? If one of you quit will the other quit also or will they sabotage your recovery to enable their continued use of a substance of abuse. Your love fantasy can’t stand reality. When you first fall in love you tend to idealize your new partner. The man is Prince Charming the woman is Cinderella. That all fades as the magic dust wears off. Prince Charming turns into the troll and Cinderella becomes the ugly stepsister. If you had an unrealistic expectation of your partner and of what family life with them would be like, you are headed for trouble. Stressful times cause family issues. Life is full of stress. Being a family can make for more stress not less. Sharing the burden can lighten the load, but the load gets heavy the longer you carry it. What will happen to your relationship when life drops its stress on your couple relationship? Unemployment, sickness, economic hardship are all likely in life. Some days are good ones and some are not. Lifespan events magnify family problems. Certain events happen whether you are prepared for them or not. Couples have children and the children grow and change. Or you plan on children and they do not materialize. Jobs come and go. You grow older. What used to be fun isn’t anymore. Then one day you begin to face growing older. The children leave the nest and you wonder what happened to the person you married. What happened to you? Creating a family ended the couple. Some couples discover that in the process of creating a family they lost the relationship between them. The years go by and if you do not work on being a couple you may find that you have nothing left once the children leave. Some people compensate for this by trying to stay a part of their children’s lives. They can become the over-involved meddling parents that caused them problems early on. Other people separate or divorce. With no children left they can’t find anything they still have in common. Baggage and Blending create family problems. So you get together and you break up and then you get together again? In this process rather than reducing your pile of problems, you may well increase them. Certainly, there are great second marriages. But each partner comes with a set of problems and changing partners does not eliminate your problems, it just offers you more issues to work on. Now you have not just yours, mine and ours, problems, but also exes and their new spouse problems along with step and half, and so on family issues. If these or other family problems are distressing you and your family consider getting professional help. An independent third person in the room can facilitate talking through and resolving your family issues. Marriage and Family therapists are specially trained in working to help families create their happy life. Does your family have family problems you need to work through?